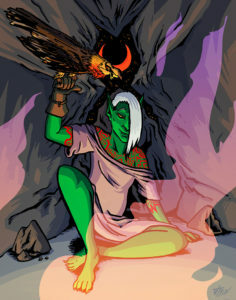 ART TIME: did this piece as my long-overdue half of a trade with @Ferrovore, of her orc character Sarouth! Had a lot of fun with this one! A ref sheet I did earlier this year for my friend @CloverArizona! 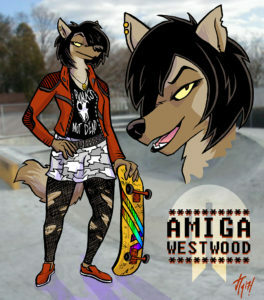 This is their skater aardwolf Apogee’s cool cool older sister who shares her brother’s interest in grabbing mad air and gleaming the cube and whatnot. This was super fun to work on! If you’re interested in a ref sheet like this, hit me at irisjaycomics at gmail for a quote! A commission I did earlier this year of @paralysispoison‘s delightful Pyro/dragon character Piper! 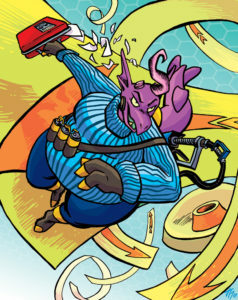 The setting is loosely inspired by surf maps, modded maps in TF2 where players use abstract map geometry to parkour around and fling themselves at speeds previously unknown to man or dolphin. Needless to say, this was EXTREMELY fun to work on! Another VHS commission from last year– the last of the 2016 batch– for @milkandcooki_! This one took a while to figure out how to make it work, but DANG if it didn’t come out rad. A VHS commission from last year that I did for Zuki! 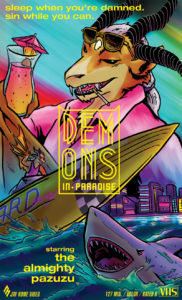 The client wanted a real Miami Vice sort of feel for their VHS cover, and I’m really happy with how we managed to pull it off. Who’s ready to be a GIGANTIC FIGHTING ROBOT? YOU ARE, OBVIOUSLY. 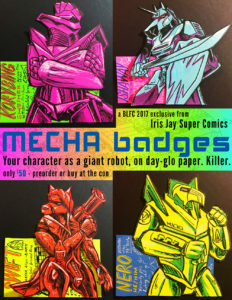 Announcing our con-exclusive badge theme for BLFC, Mecha badges! These are big, bright badges featuring YOUR CHARACTER as a lean, mean, building-sized fighting machine, inked and toned on UV-reactive fluorescent paper! Only $50 at the con or for pre-order! Slots are limited, so if you want one RIGHT at the start of the con (or if you aren’t attending but want one…), email me at irisjaycomics at gmail! Hey folks! 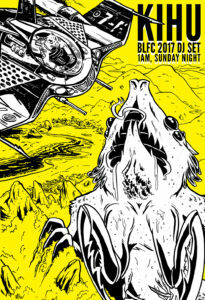 Just a small reminder that I’ll be at VanCAF 2017 in Vancouver, British Columbia this weekend! INTERNATIONAL STYLE. I’ll be selling copies of Crossed Wires and Epiphany, plus some cool cool merchandise over at Table F2 with my wonderful husband Nero O’Reilly and my illustrious friend Margaret Trauth. AND! I’ll have something NEW, though it isn’t so much of a piece of merchandise as much as it is a service. I’m starting a freelance administrative service for creative professionals like myself! If you’ve been itching for someone to tidy your inbox, edit your manuscript, lay out your book for print or write press releases for your upcoming products, then let me and my decade-plus of freelance experience work for you! 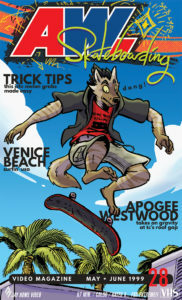 Check out a full range of services and rates at http://irisjay.net/superadmin. 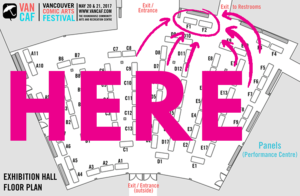 Format ImagePosted on May 19, 2017 Tags admin, convention, iris jay, vancafLeave a comment on VANCAF! Plus: SUPER ADMIN! Realized I hadn’t posted a couple of these here yet! Will throw some up over the course of the next couple days. 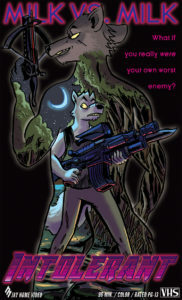 This was a commission for @apogeeaardwolf on Twitter, from my VHS series last year! 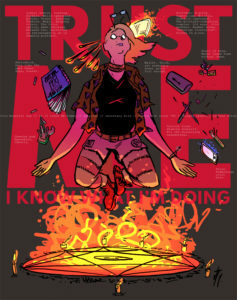 I love designing fake skater stuff. It’s an aesthetic language all its own. Props to Apogee for coming up with the “AW” logo design, which everything else pretty much crystallized around. Belated post for Witchsona / “Meet The Artist” week on Twitter, which apparently occurred simultaneously. I decided to save time and do one piece for both. 2017 is already turning out to be a howling nightmare of a year, but we’re not alone and we all have the power to help each other. I’m going to put my everything into protecting the people I care about this year. I suggest you do the same.